Happy Wednesday!!! 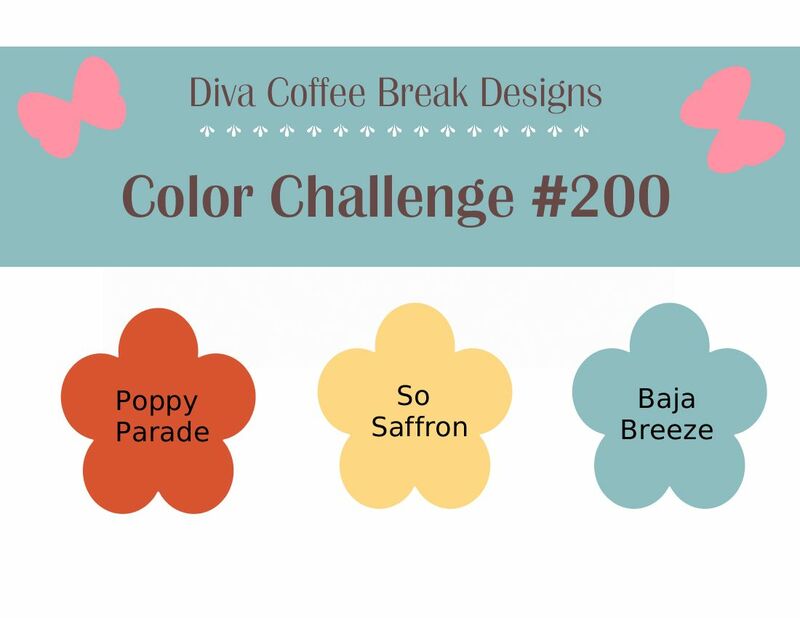 And, the Divas' have a wonderful color challenge for you this morning! 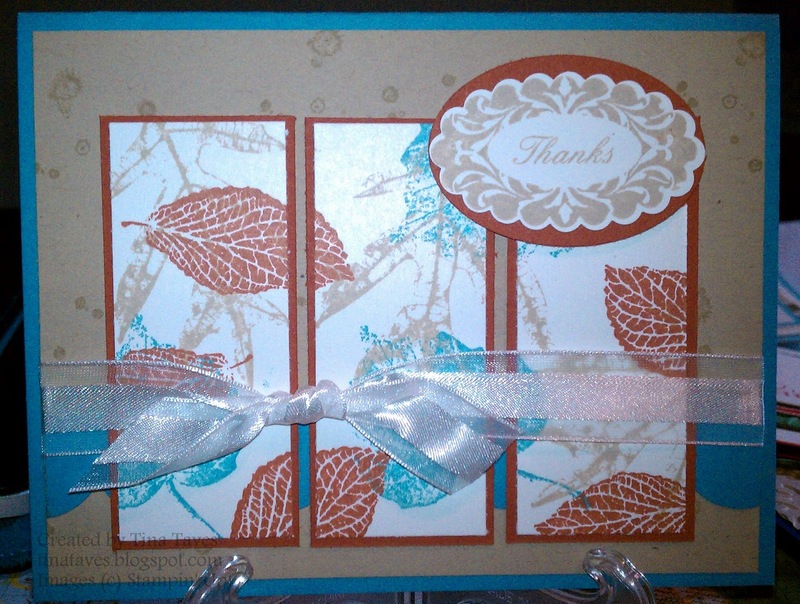 Perfect for all those fall cards! 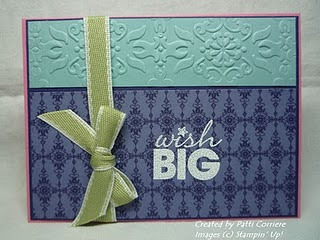 I hope you'll be inspired by the Divas' cards, and will join us!! Catching Up on our Featured Artists - Challenges 196 and 197! Yes, it's me again so soon after my last post! But I wanted to split things up a bit so none of our Featured Artists would get buried at the bottom of a looooong post. 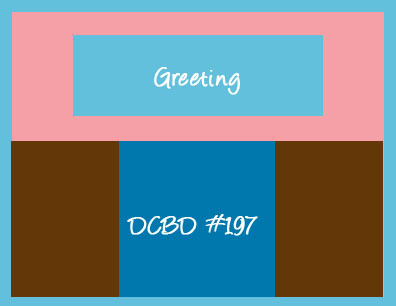 We really value those of you who check in with us on Wednesday mornings and participate in our sketch or color challenge. We especially like going to check them all out on your blogs or Split Coast pages or wherever you happen to park your samples. Just looking through all your OTHER projects really gets our creative juices flowing. FEATURED ARTISTS FROM THE LAST MONTH - PART II! This color challenge - Stampin' Up! 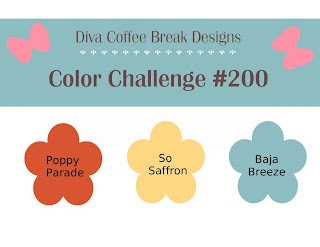 's Pear Pizzazz, Regal Rose, Baja Breeze, and Concord Crush - was really a challenge! 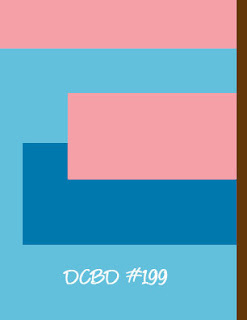 But Patti made the colors seem like they were made for each other. 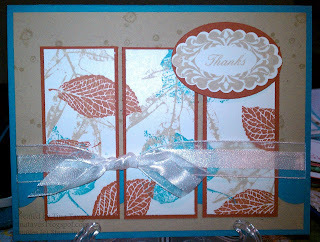 The Divas especially liked the complementary designs in the textured layer and the Stampin' Up! Patterns Paper that Patti used. 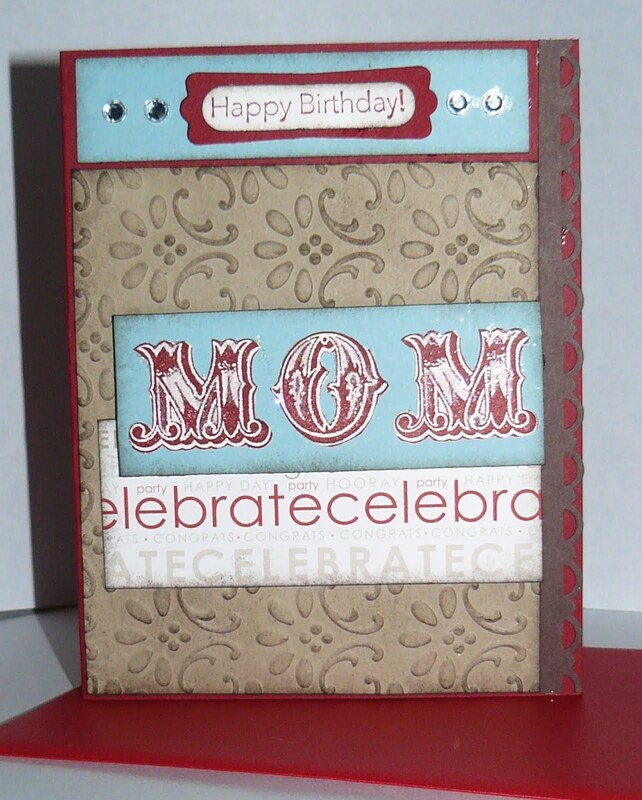 And look at how well-centered she made the texture pattern in the Baja Breeze layer! This was definitely not an accident, and it's this kind of attention to detail that really caught our collective eye. 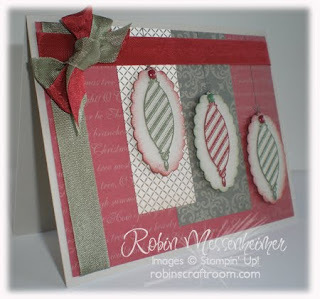 Now, if I had made this basic card, I never would have thought to use the Pear Pizzazz ribbon to tie it all together. But now that I see how it works, it makes me think of the greens in our garden and how they just make the colors of the flowers pop. Great accent, Patti! 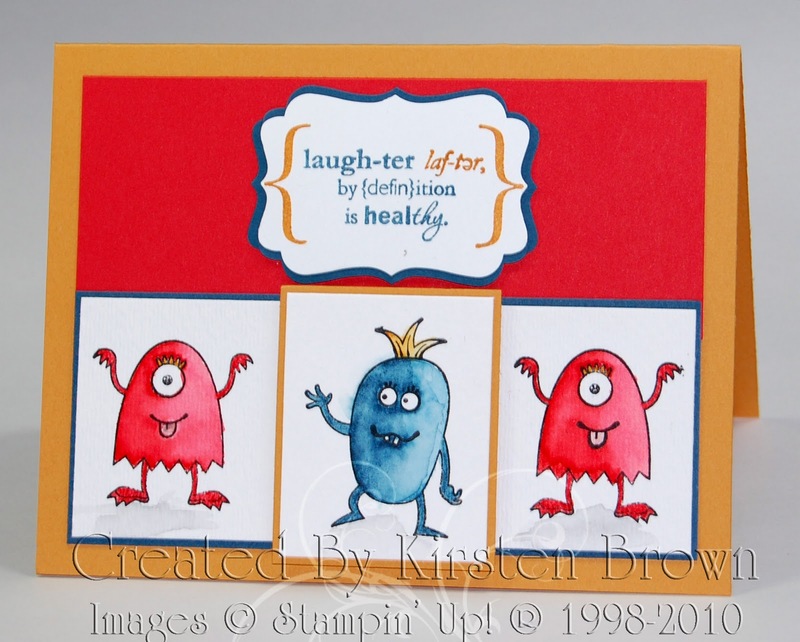 Don't you think that Lynn just nailed this sketch challenge?! 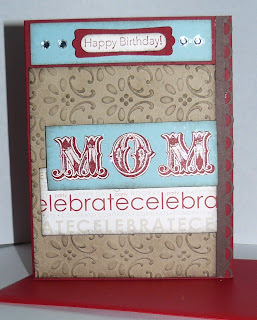 I never did buy this old Stampin' Up! set, Booglie Eyes; but now I sure do miss it. 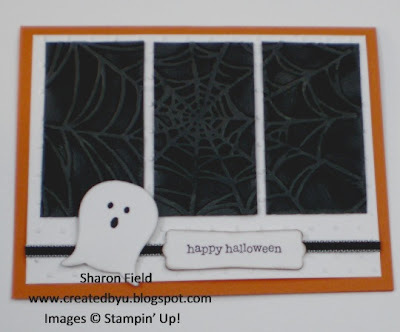 It's so durned stinkin' cute for Halloween! 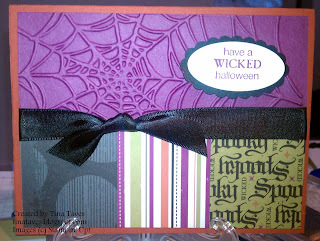 And Lynn picked some perfect colors to go with the stamped images as well as with the black gingham ribbon that she used to accent the card. The frayed ends to the ribbon really accent the torn and sponged edges and pull the whole card together wonderfully. Happy Boo to you, too, Lynn! I'm off for a trip for the next couple of weeks, but I'll be posting our Featured Artists for Challenges #198 and #199 soon after I get back. And don't forget this week's challenge! We got the link up a little late, but it's good for several more days! Catching Up on our Featured Artists - Challenges 194 and 195! 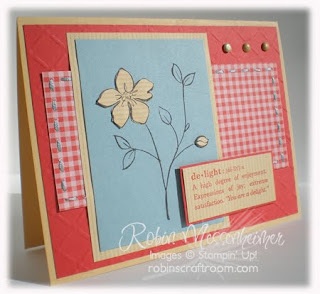 Oh, my, has it been almost a month since I posted a note about our wonderful Featured Stampers! 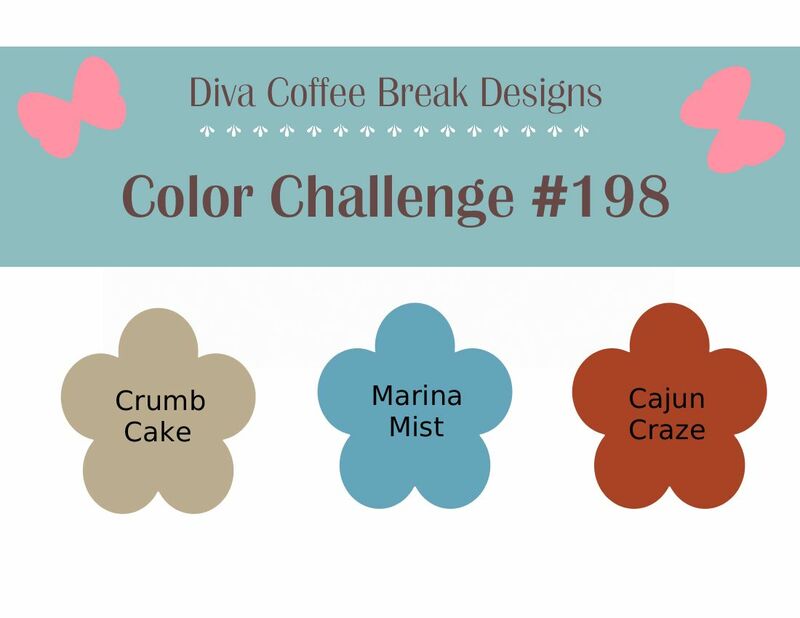 A few of us on the Divas Coffee Break Design Team have been a bit out of commission for awhile; but I think we're almost all back on board and things should really be picking up - after another cup of coffee, of course! On a side note - you may have noticed that our Link has been missing in action on Wednesday mornings. With a shift in duties around the coffee table, the Link managed to get lost in the shuffle. But she's back with us and will be right there on Wednesday mornings with all those great ideas from the Design Team! So start clicking away again with all your OWN fabulous designs! FEATURED ARTISTS FROM THE LAST MONTH - PART I! 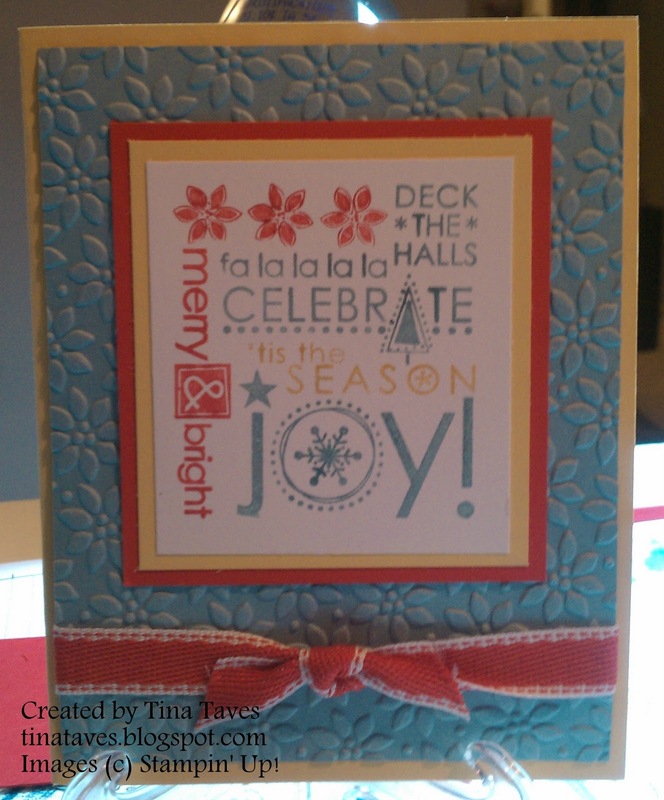 Tracy's design for this color challenge uses one of my favorite combinations from this year's Stampin' Up! 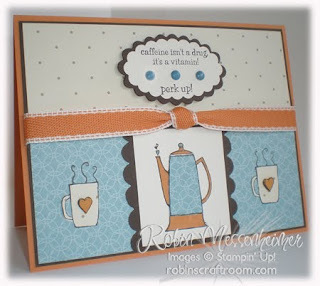 catalog - the Morning Cup stamp set and the Newsprint Designer Series Paper Set. What better combination for any morning than a cup of coffee and the morning paper! But then she added the wonderful Waterfall Technique and I was instantly reminded that I have to go pour water in the pot for tomorrow morning's coffee before I head off to bed! One final touch that resonated with me was the glitter on one of the stamped images inside the waterfall - it reminded me how much more cheerful (glittery?) I am after that first cup of coffee! Perfect accent, Tracy! 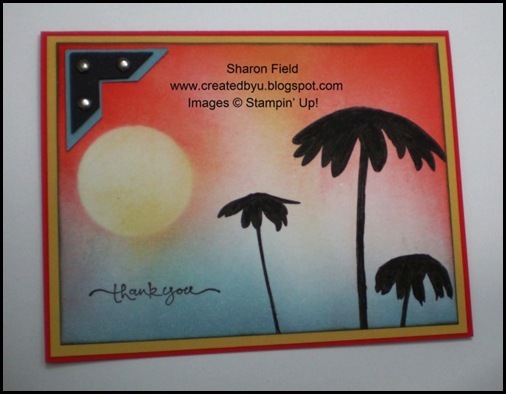 One of my favorite Stampin' Up! color combinations for 2010 is Cherry Cobbler and Always Artichoke, paired up with Crumb Cake, Very Vanilla or Sahara Sand. Just so warm for the holiday season. Then Kris added just a nice little touch of bright with the Peace on Earth greeting on some Whisper White. While I probably would have stamped the holly images on with full color without even thinking, Kris just lightly stamped them for the perfect subtle touch (gee, writing "holly" and "lightly" in the same sentence reminds me of Breakfast at Tiffany's - but I digress). 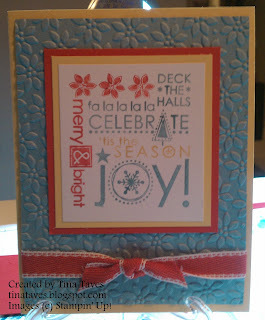 I just earned the Peaceful Season Hostess Stamp Set myself, and never even thought of using it with the Deck the Halls colors. Now it's just one more thing that I just HAVE to go try out! Thanks for the fab idea, Kris! Good morning! Fall is my favorite time of year--the weather is so nice, and all the excitement of the upcoming holidays fills the air! 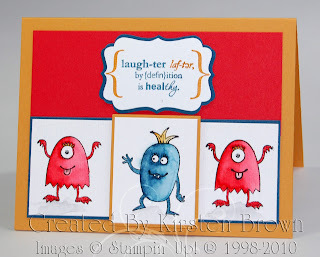 The Divas' have a great sketch challenge for you today! 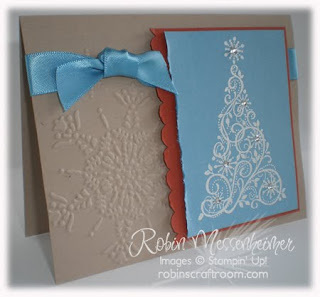 I hope you'll play along with us--we love seeing all the wonderful projects! Good morning!! Wow--the middle of October already! It's starting to feel like fall here in New Mexico--the days are still warm, but the nights are getting chilly! 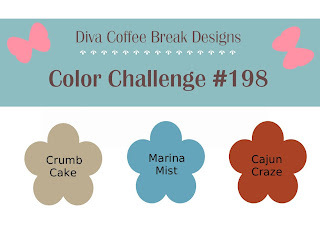 This week's challenge is a GORGEOUS color combination--I love this one, and can't wait to see what YOU do with it! Wow! Can you believe that we're already in October? There's definitely a chill in the air, and the Divas have been ordering their coffee extra hot! We have such a fun sketch today that I think we have a record number of the design team all chipping in with fantastic takes on it. I hope you'll enjoy these so much that you'll share your own great ideas with us.